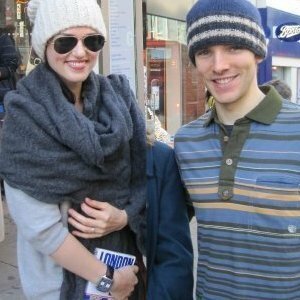 Colin's (and Katie's) beanie hat!. How can someone NOT recognise Colin with his hat on?????. Wallpaper and background images in the কলিন মর্গান club tagged: colin colin morgan bbc merlin merlin hat beanie hat katie. How can someone NOT recognise Colin with his hat on????? What? I'd recognise him with any hat on! How could anyone not?! ^ Lol, u turned it into ur icon XD Loving it! aww! i really do want them2 be together... but colin has a gal friend! and she is dating the charecter will from merlin. COLIN HAS A GIRLFRIEND?!?!?!?! How did you find out?!?!?!?!?!? !